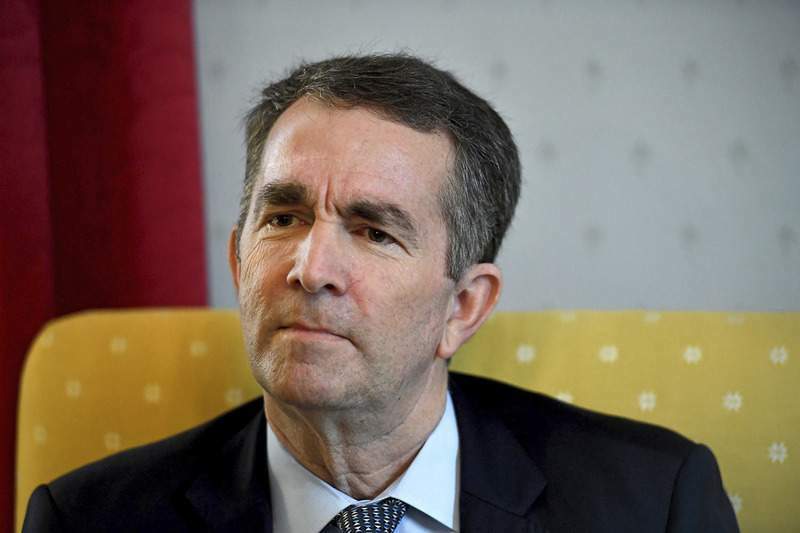 Associated Press Virginia Lt. Gov. 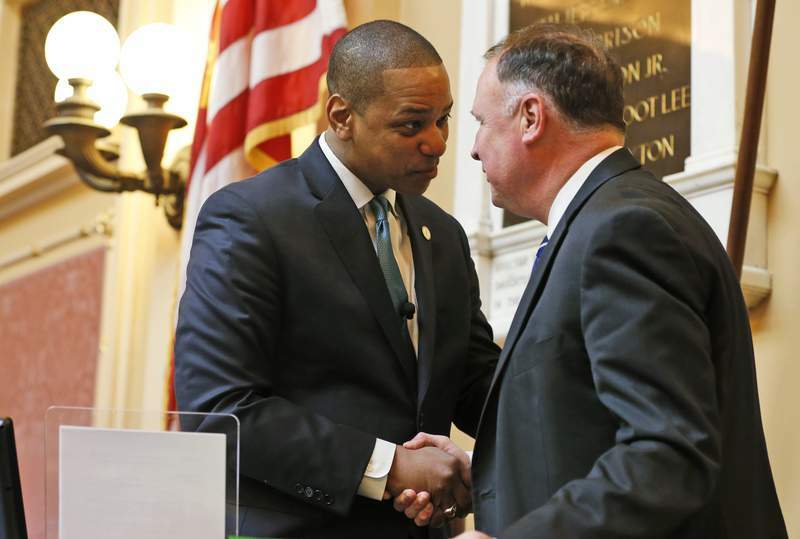 Justin Fairfax, left, shakes the hand of state Sen. Creigh Deeds, D-Bath, as Fairfax prepares to preside over the Senate session at the Capitol in Richmond on Monday. In a sign of the difficulties Fairfax will face in staying on the job, four of his staff members have resigned.